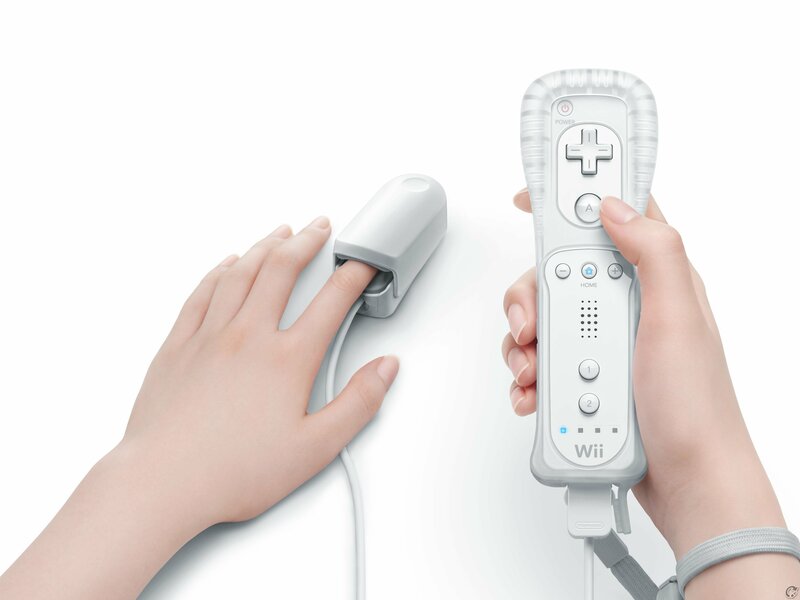 Nintendo president Satoru Iwata has explained to investors why they decided to cancel the Wii Vitality Sensor. Iwata says that after conducting a large-scale test of a prototype the company found that the peripheral only worked on certain people. The success rate of the device was around nine out of ten, which was a success rate that Iwata says just wasn’t good enough. Uhh hello! this is sad becuase i was lookin forwerd 2 it as it wud be a alternetive to mother herself wen shes not home ! Damn that sounds like it’d be very, very cool. that thing was pretty stupid anyway. i’m glad its gone. The irony of your comment. It was not even implemented in a game commercially and you judge it. Had the wright brothers not gone ahead with their “stupid” tests, there would have been no aeroplanes now. I imagined it being used for action and horror games. It altered music, on screen action, enemies, etc, based on your heart rate. So that you were always being mentally stimulated. Granted I don’t think the Wii or even current gen tech, could make such significant in game alterations on the fly. Maybe next gen though. See guys. That is one example of the type of new experiences I am referring to, that next gen can offer. I don’t see why current generation tech couldn’t change parameters in a game based on a vitality sensor input. If it was measuring a BPM then that would be a simple integer value that could be monitored, an engine like Source in L4D with it’s director program would then use that as a intensity value instead of a randomly generated one. And you could easily play or segue a different soundtrack if the value entered different pre-determined zones. I don’t see what it couldn’t be implemented in current gen. It could be simply measuring the BPM and storing that as an integer, a game program could then modify soundtrack or intensity level easily be referencing this. I mean, quite significant changes. Like enemy behaviour, aggression and numbers, controlled character behaviour and controls, changes to the environment, weapon jamming, stumbling, loss of accuracy. However, if these things can be done easily with current gen consoles, then I take it back… and they should release a device that can do all this…NOW! Now you’re talking, that kind of thing would really reward gamers who could keep cool under pressure! Watch the Valve space for this kind of thing I think, I have read that they are very very interested in biometrics, the new controller that they are working on might well have this stuff in it. Oh really? I’ll be sure to keep a closer eye on Valve from now on. Those features could make shooters much more interesting. Having a high activation level while playing for example CoD often gives you advantages with reaction time and so on, but in reality it should also make you less accurate, contrary to when you’re calm. Having these vitality sensors somehow integrated into controllers would make games much more interesting, and possibly even more challenging. Check again about the Wright Bros.
Do you realize that you compared flying a plane to putting a thingy on your fingy for a video game? The irony of your comment. It was not even implemented in a game commercially and you judge it. Had the wright brothers not gone ahead with their “stupid” tests, there would have been no aeroplanes today. If this was Microsoft with their policy of releasing consoles and peripherals that are 30%( RROD 360s, disk scratching) done, we would have seen the vitality sensor connected to the Kinect. You are wise and consumer focused great nintendo :). No, YOU’RE kinda weird. Please stop impersonating a Pikachu on the internet, it’s really sad. But in the real world, where people have lives, you are the crazy one. Relax. The people who do that are socially inept weirdos with way too much time on their hands. Just ignore them and let them feel special. It’s not like she’s roleplaying in real-life. The internet is a completely different place from life. All I see are social rejects on the internet. And all I see is people being judgemental. I don’t see that as a good thing. See? Even I do it! Well, I think it’s a cute and creative way of posting on a forum. Keep it up. Could you imagine playing a survival horror with this thing? Imagine you start panicking and it effects the way your character plays or sees things. Maybe it’ll make it harder to stealth your way past foes. I think there’s much potential for this thing, so I come it ends up being made in the long run! Wow, derp.. meant to say I hope it ends up being made. XD That’s what I get for having 2 hours of sleep. It is a good idea, especially now at the point we’ve reach in games, you can make something really engaging. They should impliment it as a wrist device though, i imagine that would be a more accurate way of measuring heart rate. Hearing about all these potential ideas makes me much more excited for the future of gaming. Smart move on Iwata! I’m surprised his approval rating dropped. Want to know why I am so happy? That’s why like you Nintendo. You understand, so do Sony, unlike MS. But i think the V.Sensor would’ve been interesting, especially in a horror game, you game character panics according to your heart rate, that would’ve been amazing. Or in a shooter (just an example), you calm your to take a shoot or focus. What about the wii u freezing/becoming bricked though? Imagine using that while playing Trauma Centre. Woah. Seems like a few of us have some interesting ideas for such a device. In all honesty though, I could never imagine a third party devoting the time to make them a reality. And we all know that Nintendo would never make the type of horror/action game that would suit such an effect. Such a waste. I would have really loved to see these ideas implemented. good. cause nobody would have bought it. like every other useless peripherals out. yeah, whatever, nintendollars is finished anyway, so it really doesn’t matter. It’s a little concerning that they would be okay with shipping something that won’t work for 1/1000 people. Those people are still going to spend money on it, and then what? It just doesn’t work for them? That would be a pr disaster if Nintendo knowingly released something that doesn’t work with everybody unless they put, ‘may not work on everybody’ right on the box or something. 1 out of 1000 people is 0.1% though. That’s an incredibly small number of people. They only had it working for 90% of people though. So, they weren’t happy with 10% of people potentially having issues with it. But they were ok with 0.1% potentially having issues. The 3D in the 3DS doesn’t work for everyone. Not every is physically capable of using a wiimote. Not everyone can use voice controls. There’s almost always going to be a small amount of people that can have problems with various input methods. I think 0.1% would be an ok margin to launch a product with. It’s just a pulse ox. I use them at work all the time. Go out and get one yourself for cheap. Oh and they’re not always accurate depending on things such as nail polish (distorts reading) or medical history e.g. For anyone interested, it gives you a blood/oxygen saturation reading, respirations per minute and heart rate per minute. You know i would love to see Nintendo incorporate this kind of device on their next gen console, so in that way could be another revolution, and every other company will follow; obviously a better device with more tech that could help enhanced a videogame, like the ideas from user “Phil Kavadias”. It would be nice to see a WiiU Gamepad Plus connected with this thing, so you can be on your bed at night playing. For survival horror games could awesome. Buy one really cheap with the reading on the side than one requiring a monitor. Doesn’t need to hook up to the gamepad or any other device, nor are they expensive. The hell? I’ve never known Nintendo to pass up some asinine gimmick. im not even going to read it….. the thing was a fail from the start. You love deeming everything a failure when you see so much as a picture or 10 second video. This paired with a second Eternal Darkness. I think it would make this one of the most mind-blowingly amazing peripherals ever. But I doubt Nintendo would have used it like that at the time. They should have cancelled the Wii. Now, it’s the laughingstock of developers.